New Delhi : The study of fossils gets a new chapter as scientists have found abundance of fossils which date back to 500,000-year-old. Palaeontologists in China made the discovery that hardly anyone would have imagined. Our Earth is home to hidden secretes in the form of fossils. And, scientists put their endless efforts to find evidence of the plants and animals that were alive once. A new researcher paper published in Science details the discovery of literally tens of thousands of primitive specimens in ancient hardened sediment along a river in China. A place called Qingjiang is loaded with evidence of soft-bodied creatures that, until now, were lost to time. Fossils of soft-bodied animals are very much difficult to find due to the fact that soft tissue tends to deteriorate far too rapidly to be fossilized. Shells and bones, on the other hand, have a better shot at standing the test of time, so discovering a wealth of soft creatures is a truly monumental thing for palaeontologists. A Scientist at National Geographic explains, the thousands of specimens that have been examined have been identified as 101 different species. Even more astounding, over half of them are entirely new to science. 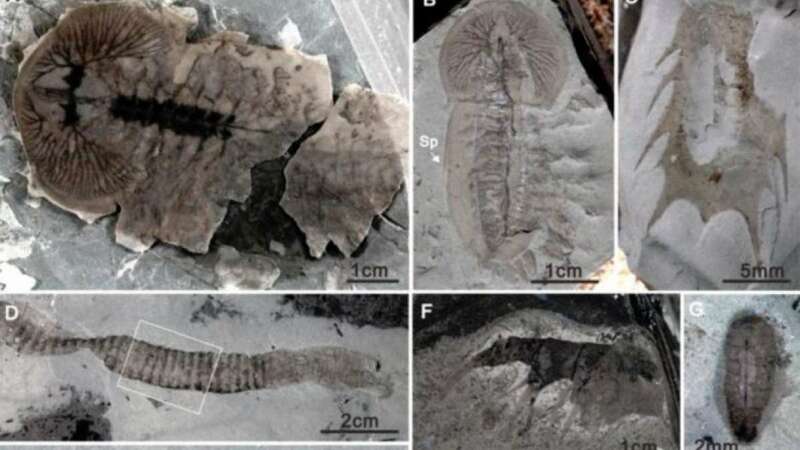 Needless to say those fossils are left out of ancient sea creatures that settled on the seafloor upon death, becoming covered in mud and sediment and gradually becoming compressed into shale rock. Now, as scientists flake the rock away they can see the ghostly shadows of the fossilized tissue that made up their bodies, like a window through time. Palaeontologists found creatures which resembles the earliest complex life forms on Earth. Having emerged during the Cambrian period where life on Earth began to branch into various different forms at a faster pace. Since scientists don’t get the opportunity to find dozens of new species at one go, this new discovery is a rare treat for them and as well as for those who have interest in Palaeontology.